Wheat is one of the oldest crops in the entire history of agriculture. Our ancestors were farming wheat thousands of years ago, before even the Bronze Age, and it continues to be an essential part of farming today. Even with increased awareness of gluten sensitivity and allergies, wheat remains vital in feeding people all over the world. In addition to food, wheat serves numerous other purposes that stand to benefit both growers and consumers on the local, national, and international levels. Many seek to dismiss wheat as toxic and unhealthy, but that couldn’t be further from the truth. Learn about the top three reasons why wheat matters, and discover everything this incredible crop can do for you and your community. 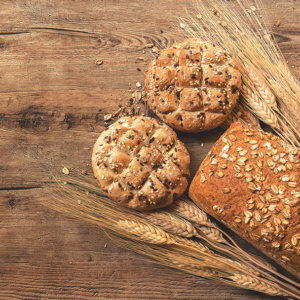 Despite the modern-day negative attitude toward grains and gluten products, wheat is actually quite healthy for you, provided you opt for whole grains. This cereal grain can help you boost energy and improve your metabolism. That means it’s particularly helpful if you’re looking to control obesity or prevent the development of type 2 diabetes. These benefits are especially evident among women who eat whole grains, as they showed significant loss of body fat compared to women who eat refined grains. One of the most important factors of wheat is its rich magnesium content. Magnesium is essential for a wide variety of your body’s internal enzymes, including the ones that help control your blood sugar. With increased regulation like that, simply replacing rice with wheat in your diet can have a significant impact on sugar levels. In fact, a higher whole-grain intake has been positively associated with a healthier body weight in general. Wheat is high in fiber as well, which helps your digestive system quite a bit. Problems like constipation can be much more serious than some minor abdominal pain, going so far as to lead to serious issues in your colon, such as the development of sacs or pouches. A fiber-rich diet helps prevent these issues entirely, and wheat has always been an exceptional source of fiber. The economic benefit of wheat works on multiple levels. Starting small, wheat production is great for local communities. California in particular benefits from having local wheat that’s both low in moisture and high in kernel size. While that doesn’t mean much to the average consumer, it’s great news for millers. Since millers have an easier job, it’s more affordable for the consumer to buy quality wheat products. As local producers continue to grow, the local economy receives a boost as well. Nationwide, the wheat industry is absolutely essential. This is due to one simple advantage the United States has over everywhere else: The U.S. can successfully produce all six classes of wheat with the quality control consumers deserve. Not only does this increase performance in the national market and allow states like California and Minnesota to produce wheat, but it puts the United States in a better standing globally. While the U.S. isn’t the world’s leading wheat producer, it’s the only producer that offers all six classes of wheat. Additionally, America’s wheat production is a multi-billion dollar industry, producing more than 17 billion dollars’ worth of product, of which nearly half is exported. There has been increased competition from the EU and Canada in the global wheat market, but wheat still remains an essential commodity for the United States. One of the greatest benefits of wheat is just how versatile it can be. For a simple plant, wheat has a wide variety of commercial uses even apart from our food. The primary use is as a food, of course, in which it is most commonly ground up into flour. It’s a major ingredient in all sorts of foods, including cereals, bread, crackers, pasta, and even alcohol. Since wheat is one of the oldest crops used by humans, you’ll find it as the basis for all kinds of foods from across the globe. Wheat is essential for feeding humans, but it also plays a large role in feeding animals. When the milling industry turns wheat into substances like flour for our food, there are plenty of byproducts left over. Among those byproducts are substances used for livestock and poultry feed. In addition to feeding farm animals, wheat straw is also used for their bedding, so every aspect of the wheat plant is being put to good use. At the California Wheat Commission, our goal is to help growers and consumers reap all the benefits of wheat to the greatest extent possible. While there are a few similar wheat commissions across the country, we’re the only one with our very own on-site milling and baking laboratory. Using quality testing and chemical analysis, we ensure that California wheat is of a quality that local and international buyers alike deserve. Contact us today to learn more.